August is now in the rear view mirror and its full steam ahead towards longer days, warmer weather and no jumpers! 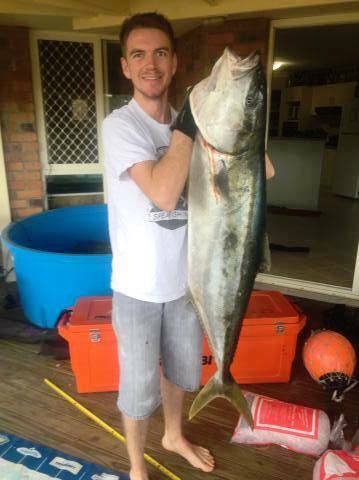 Our BIG 5 spearfishing is in full swing, and we’ve had yet another leaderboard change. Trevor Ketchion has thrown his name back on top by adding yet another species to his extensive list. A Mahi Mahi pulling the scales down the best part of 20kg. Keiren Limpus added a few catches to his name and has crept towards the 2000-point mark, but it seems it’s a two-man race now for the overall title. Let’s not forget the individual BIG 5 categories through. Remember there’s a category to suit everyone, from the original BIG 5, Reef 5, Estuary 5, Southern 5, Game 5 and Emperor 5 each with prizes for the overall winner. You can check your progress by viewing the colour coded BIG 5 category images below. Our new Melbourne store is off and racing after it’s successful launch a few months ago, with three stores covering Brisbane, Sydney and now Melbourne, Adreno is set to supply you with everything you could ever need to live the Adreno lifestyle. Keep those entries coming, it’s never too late to add a couple of species to the list and make a late season comeback!